The international nightmare is over; the crisis has been solved. 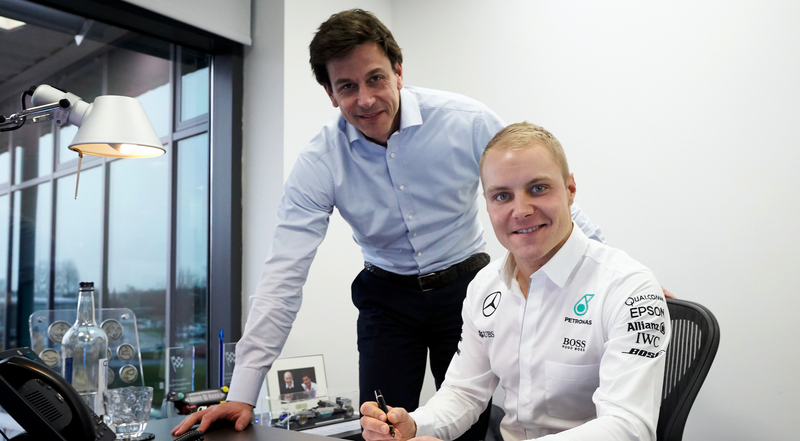 The Mercedes F1 team, whose newly crowned champion retired days after winning the Formula One title, will add Williams’ Valtteri Bottas to its lineup. Taking Bottas’ seat will be Felipe Massa, who retired from Williams less than two months ago. The vacant Mercedes seat was an unexpected twist, given that champion Nico Rosberg wasn’t exactly expected to retire at 31 years old. Rosberg’s retirement opened up one of the two most coveted seats in the F1 field, given that Mercedes has been dominant for years—in 2016, Rosberg and teammate Lewis Hamilton won all but two of the 21 races. Their only two losses stemmed from wrecking each other and a blown engine. Thus, when the Mercedes seat became available, everybody kind of wanted it. Red Bull’s Max Verstappen was as thirsty as could be for the ride, but early on, it looked as if McLaren’s Fernando Alonso would get the spot. As for Bottas’ seat at Williams F1, Massa will come out of retirement to return to the team that he left just a month and a half ago. Massa’s retirement was one of the most emotional points in 2016, with his “final” home race in Brazil ending in a heartbreaking crash. Massa draped a Brazilian flag on his shoulders as he walked from the wrecked car, with fans, other teams and track workers cheering him on as he made his final walk down the track as an F1 driver. Except it wasn’t his final walk down the track as an F1 driver, because he’s coming back. He probably didn’t even have time to buy a rocking chair in his short retirement. Just don’t count on Rosberg following in Massa’s footsteps and coming back to the sport, because he seems pretty set on retirement. Either way, wipe your tears! Get excited! It’s almost time to go racing!